CarGurus has 2,227 nationwide TrailBlazer listings starting at $1,500. Virtually unchanged, Chevrolet's 2009 TrailBlazer still offers a comfortable ride and capable hauling capacity for the model’s last year. Cheap interior materials and a suspension that never quite got it right will never get a chance to be corrected, as 2009 will be the TrailBlazer's last year. Choosing the right TrailBlazer is not easy. The only way to get the SS suspension is to also go with the 6.0-liter engine, which is a tremendous powerplant and a lot of fun, but you’ll take a hit in fuel efficiency. Unless that’s the route you’re willing to take, perhaps it’s best to let this model die and wait until 2010. The Chevrolet TrailBlazer, originally introduced as a top-tier trim for the Blazer, became its own model in 2002. In this, its final year of production, Chevy is sending it off with a bang by losing the option of the 5.3-liter V8 previously available, forcing consumers to choose between the 4.3-liter six cylinder and the 6.0-liter V8. A traditional midsize SUV in that it still utilizes a full frame, the TrailBlazer seats five and comes in eight trims with rear-wheel or all-wheel drive. LT1, 2, and 3 trims are all available with AWD that can be left engaged on dry pavement and have a low-range gear for off-road use, but the SS goes without. This is probably best, as the SS's lowered clearance and larger wheels make for a poor "trailblazer," as it were. Previous TrailBlazers had the option of either a V6 or, for those who wanted extra power, two V8s. Problem was, one of them offered only an extra 15 hp. This is no longer an issue, as the smaller V8 is no longer an option. Standard on LT trims is the same 285-hp, 4.2-liter inline six, but the old 5.3-liter V8 has been dropped, leaving the 6.0-liter, 390-hp monster of a V8 the only other option. That’s almost 100 hp more than the 5.3, and it means you can push your SUV from 0-60 in 5.7 seconds and haul up to 6,800 lbs. Both engines come mated to a four-speed HydraMatic transmission, although the SS receives a beefed-up version. The 4.2 rarely lacks power, almost making the 6.0 unnecessary, but for serious towing, passing, or climbing, there’s no comparison. 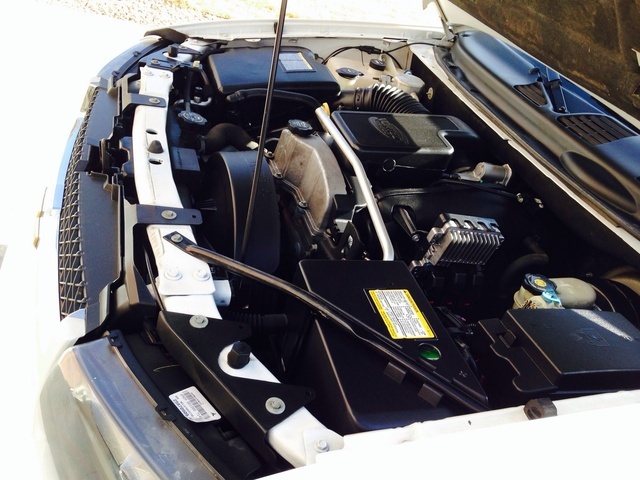 Some reviewers have had trouble coaxing the HydraMatic into a downshift, noting the need to lean heavily on the accelerator, but otherwise have been pleased with the transmission for both engines. The 4.2 can feel a little rough around the edges, especially when cold or strained, but the 6.0 is smooth throughout, with a pleasant idle note and an inspiring roar when the needle climbs. EPA estimates peg the engines at 14/20 mpg for the 4.2 and 12/16 for the 6.0, for which Chevrolet recommends premium fuel. You pay to play. Unlike crossovers and other car/truck hybrids, traditional SUVs have always ridden a bit like a boat, with enough float and wander and wallow to remind you of nausea-inducing forays on a rented skiff down at the lake. The TrailBlazer does nothing to combat this. While uneven surfaces are absorbed relatively well, even with the stiffer suspension on the SS, the general rocking and swaying is there in abundance, more so even than with its competitors. Body lean is substantial, and the steering is delayed and numb, leaving you over-correcting while you try to find a neutral position. While the self-leveling sport suspension on the SS does improve a lot of these issues, it’s not enough to leave the Dramamine at home. The TrailBlazer is comfortable. Even those who crest 6 feet will find ample head- and legroom, both front and back, and the seats are pleasantly soft. In fact, they’re soft enough that they might lack enough support for long drives. Even the rear bench is spacious, comfortable, and large enough to seat three adults without feeling like so many sardines. Controls have been well-received, too, although some have complained about a too-long reach for climate adjustments. Noise has been kept in check generally, although at higher speeds, wind rush begins to increase quickly. The biggest complaints come from the general quality of interior materials, which are very simply well below the standard for the segment. In fact, the TrailBlazer's brothers the GMC Envoy and the Saab 9-7X, while slightly better, suffer the same ailment, and all fall far short of competitors with regard to interior fit and finish. A shame. 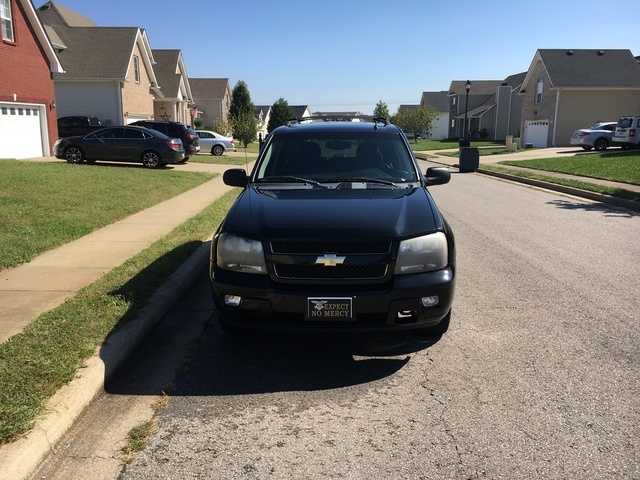 However, the TrailBlazer is very well-equipped, with the base trim enjoying full power features including an eight-way driver's seat, cruise, and a CD player with satellite radio. From there the more upscale trims provide leather, steering wheel and auxiliary audio controls, power-adjustable pedals, and memory settings for all your adjustments. The TrailBlazer comes standard with dual front and curtain side airbags, antilock four-wheel disc brakes, anti-skid, a tire pressure monitor, daytime running lights, and a theft-deterrent system. Still, it could’ve done better in NHTSA test results, scoring only three stars in front impacts involving the driver and rollover resistance, and four stars in rollovers and front impacts involving the passenger. It did, however, score five stars in all other categories. Owners have always been pleased with the comfort of the TrailBlazer, its spacious interior, and a history of well-thought-out engine options. A lot of criticism continues to be heard about the interior’s cheap quality materials, however, and the general “floatiness” of the suspension. What's your take on the 2009 Chevrolet TrailBlazer? GuruXFPY6 Cool Truck. Just something about it. 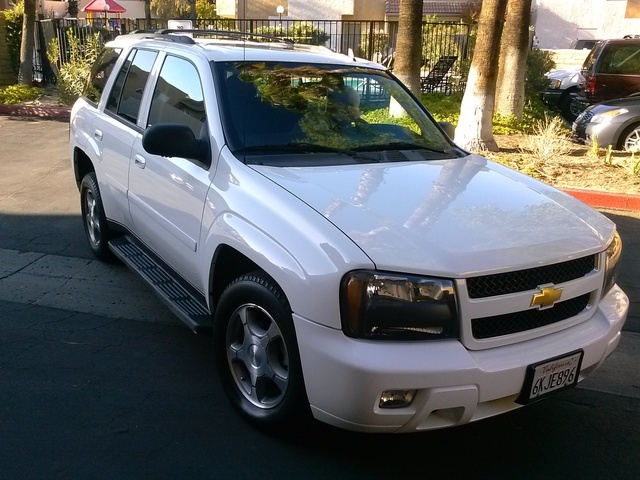 Have you driven a 2009 Chevrolet TrailBlazer? 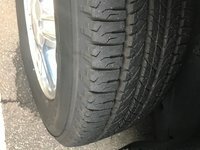 Our Chev trailblazer cranks but wont start, it feels as if the engine is heating up? Any suggestions?